Step 1 in the Journey to Energy Freedom was buying an energy meter. What it costs to heat your house, power it, and power your car. Cost and Energy Savings of different heating options over natural gas. Insulation stacks up pretty well in the graph – with the capacity to save 10 kWh of heat energy required in your house per day, or save about $730 per year in a large house. I started with attic insulation (heat rises, so this is the best place to start with insulation). I installed Earthwool Loft Roll 44 (Combi Cut) Loft Insulation in the attic for the job. The thermal conductivity of which is 0.044 W/mK. A 10M^2 roll came to €26. The floor space is 23 M^2, so the capital cost was 26 * 23 = €598. 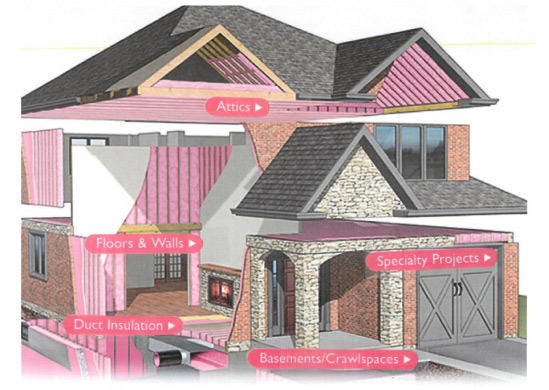 The insulation stops 7 kWh per day leaking out of the ceiling of the house and into the air. At €0.08 per kWh of gas, that comes to 7 * 0.08 = €0.56 per day, or 365 * €0.56 = €204.40 per year. This means a payback of €598 / 204.4 = 2.93 years, and a 25 year payback of €204.4* 25 = €5,110.00 – €598 = €4,512.00. Not bad at all! That’ll pay for a wood burning stove with a back boiler to provide the remaining heat required without needing to pay for gas or oil. Gas emits .23kg CO2 per kWh from a gas boiler with reasonable efficiency, so the yearly saving is 2,555 kWh of gas saves 2,555* .23 = 587.65kg CO2 per year, or 587.65 * 25 = 14,691kg CO2 over 25 years. 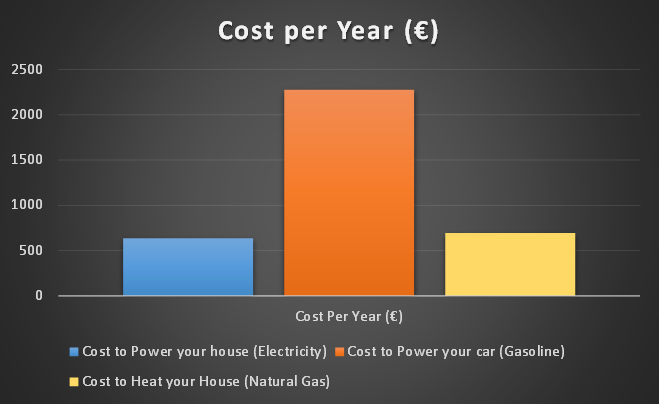 So for an investment today of €598, we can save €4,512 over the next 25 years AND feel much more comfortable in our house? This is a step you’ll want to take!